Hey look at me I’m a fool marathon runner. 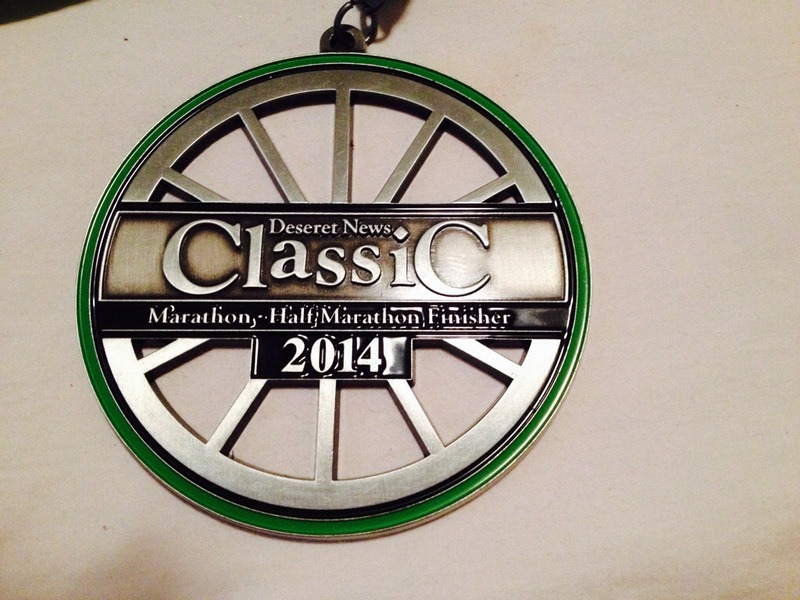 Thanks to the kind souls at the Deseret News Classic, I was able to do another marathon last week. 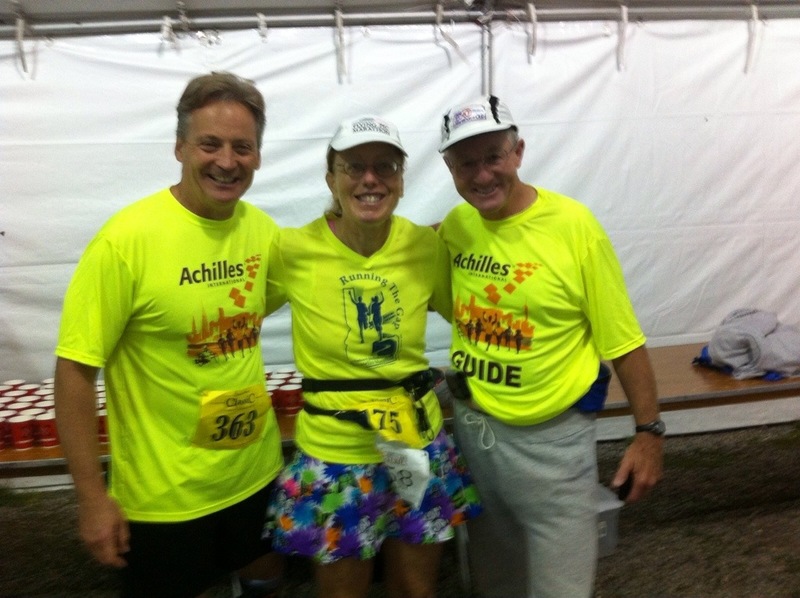 They generously comped fees to Achilles runners in the race. Since my race allowance is gone until we get a little more fundraising going I was more than happy to run another Utah marathon. My running guide Blaine and friend Sabra. 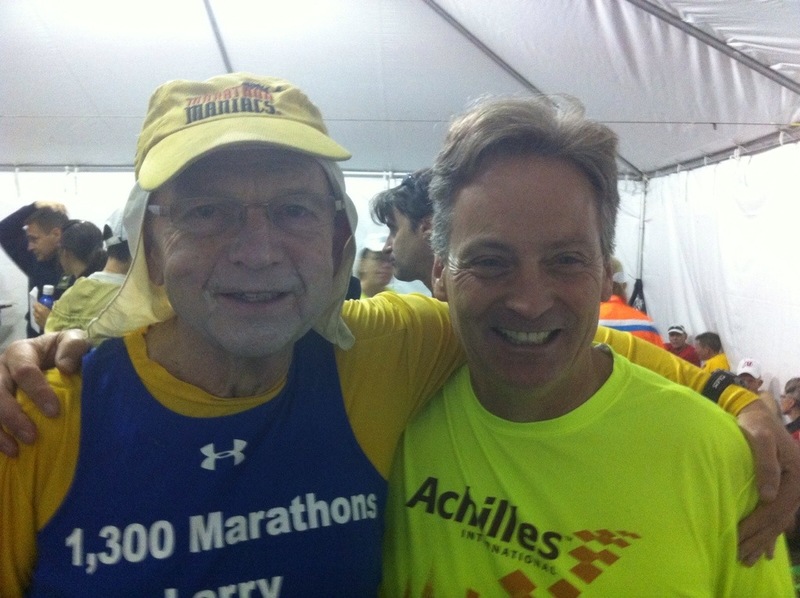 This race was to be fun and get some attention for Achilles International. 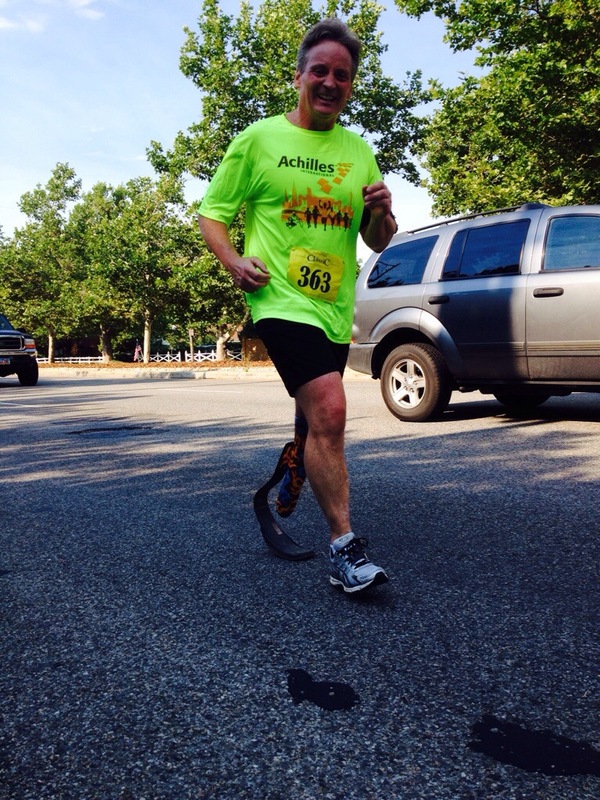 The other Achilles runners opted for the shorter races. My wife suggested doing the half marathon this time that way I could enjoy the day, run an easy 13.1 half marathon and finish with the majority of other runners. Ran into my friend Larry Malcolm. World record holder for most marathons. He is at every race. Literally!!! He almost has 1400 marathons. Half marathons have become very popular. Everybody loves the half. Everyone except those foolish few that like the “fool” marathon. Some where along the line my brain has switched into crazy mode and I actually like doing the “fool” marathon better. I finished the fool marathon in 5:40 and collected my medal (which incidentally did not differentiate between the half and the full ). 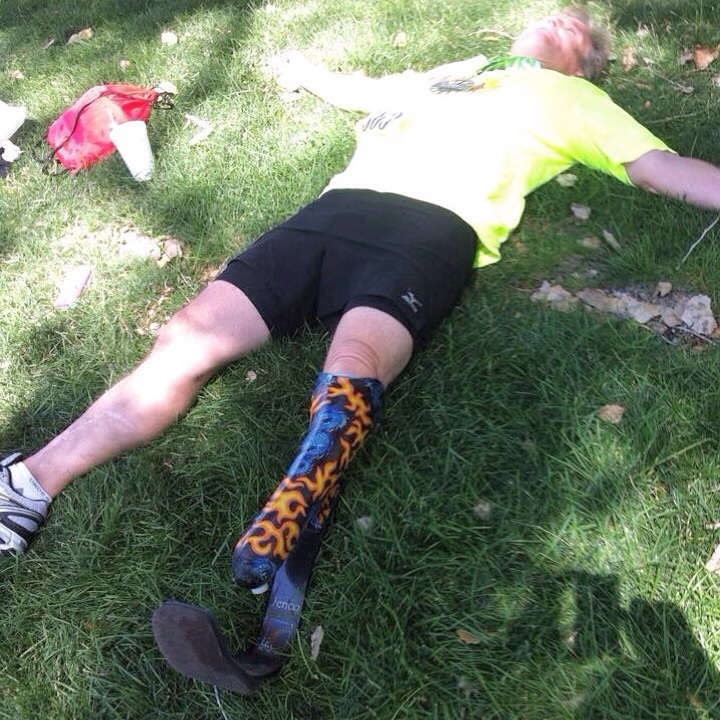 Being the fool that I am I was so proud at the completion of my 38th Marathon. Yea me! 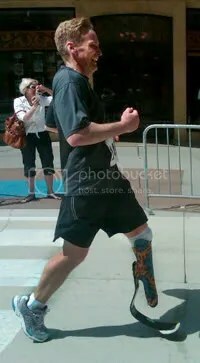 Posted in 50/50 Marathon Club, Inspiring People, Marathons, Prosthetic Leg, UtahTagged deseret news classicBookmark the permalink.